1. Our conscious programs – the (in the moment) patterns of thinking that we are aware of. 2. Our subconscious programs – our subconscious beliefs that are based on our life experiences and can be rooted far back in our past. These beliefs reflect on what had happened to us in the past, the way were were brought up and the environments we were amerced in during our lifetime. These beliefs can be limiting and most of the time we are not aware of them, we just feel fear or other negative emotions indicating that these old beliefs are present. Both of these programs are responsible for creating / manifesting our reality, but the subconscious programs are more consistent (kind of always in the background like a background noise), therefore they are creating more of a consistent reality. These are stronger patterns of thinking or energy that than manifest our reality – desired or not. What we focus on expands /or we get more of it. This is the reason why affirmations don’t work for many people. 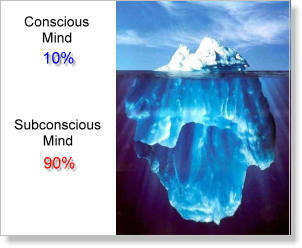 If you conscious thoughts and your subconscious are not aligned, you may not be able to manifest the thing you want. If you subconsciously believe you don’t deserve something or it’s out of your reach, no matter how many affirmation you will do …..YOUR BELIEF WILL WIN. It does not matter you say something else out loud. If it’s not aligned with your beliefs, you are likely to loose the battle. Identifying your beliefs can be as simple as finding a piece of paper and a pen and after taking couple of deep, centering breaths writing down: money, success, being in a relationship, or whatever you are wanting to find out your limiting beliefs on …and GO! 1. Don’t think too much, just do a “brain dump” and don’t judge your self for what you are writing down. You will organize you thoughts later. 2. Keep your pen moving at all times ( so your ego has no chance to edit the process ), even if you ll have to write “I don’t know what to write” for the first 1 minute. If you can (as sometimes its a very emotional process) exhaust the topic. 3. If possible try to find peaceful and safe/private place to do this. It may be very emotional and sometimes tiring (even physically) for a brief moment. This is very a important knowledge for you as you can’t change something you are not aware of. You need to OWN your limiting beliefs and then release them with new understanding and love (as they were there to protect you first). They are NOT who you are, they are what you experiences that formed your habits of thinking.And habits can be changed! You can use this exercise on any aspect of your life, any area of your life where you feel like you are stuck and want to move on like beliefs on relationships, beliefs on why I don’t have the job I want, beliefs on why I cant loose weight…..
Don’t be afraid. Ones you start, it will be hard to stop and you will immediately feel lighter. This is a little detox exercise to get rid of what’s not serving you and standing in a way of you having the life you want. Its just the first step in the process of reprogramming/ changing your software, but its a first HUGE step toward the freedom you are looking for. Let me know how it went and come back to my blog to take the next step. I will talk about CLEARING TECHNIQUES to get rid of your limiting beliefs for good. Here is one technique I already talked about on my blog earlier. Much love and happy thoughts! 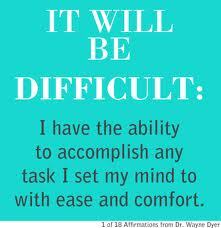 Beauty Mantras: Creating CONFIDENCE one sentence at the time. Love Your Self. It’s is your birth right.